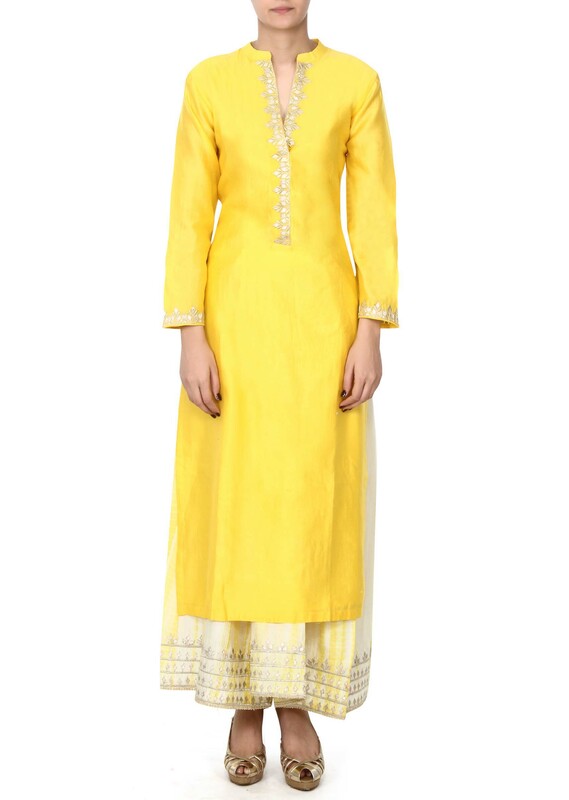 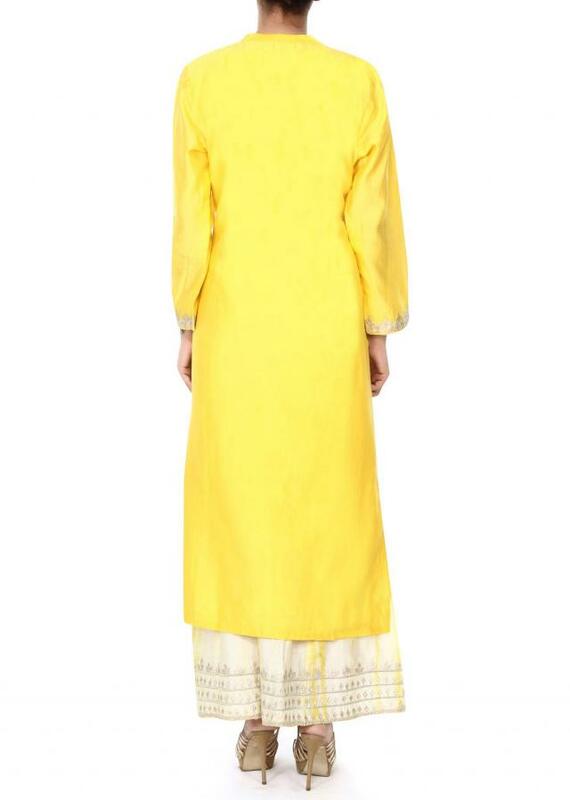 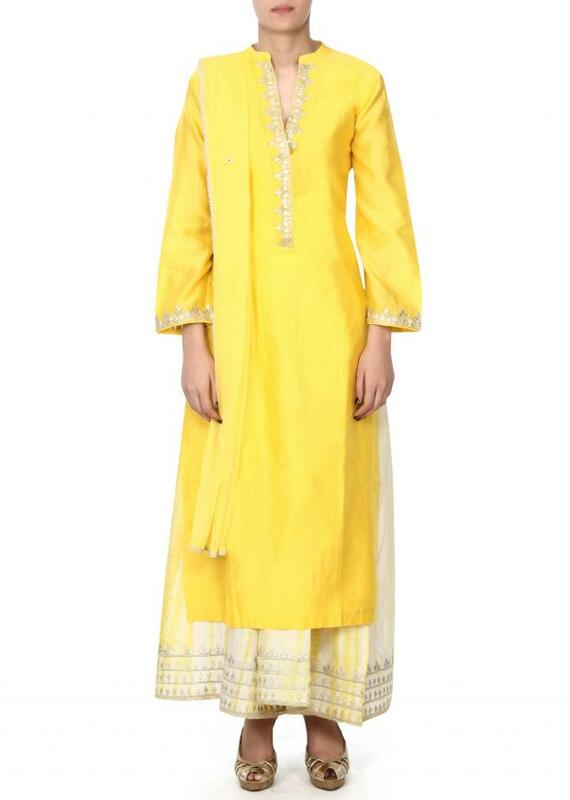 https://www.kalkifashion.com/yellow-straight-suit-with-zari-placket-only-on-kalki.html 5136 Yellow straight suit with zari placket only on Kalki https://d8evit4zy2nlo.cloudfront.net/media/catalog/product/y/e/yellow-straight-suit-with-zari-placket-only-on-kalki-348110_3_.jpg 119 119.0000 USD OutOfStock /Salwar Kameez /Salwar Kameez/Palazzo Suits /Salwar Kameez/Straight Cut Salwar Kameez /Collections/Kalki Trend Report 2016/Picture Perfect! Yellow straight suit featuring in cotton silk. 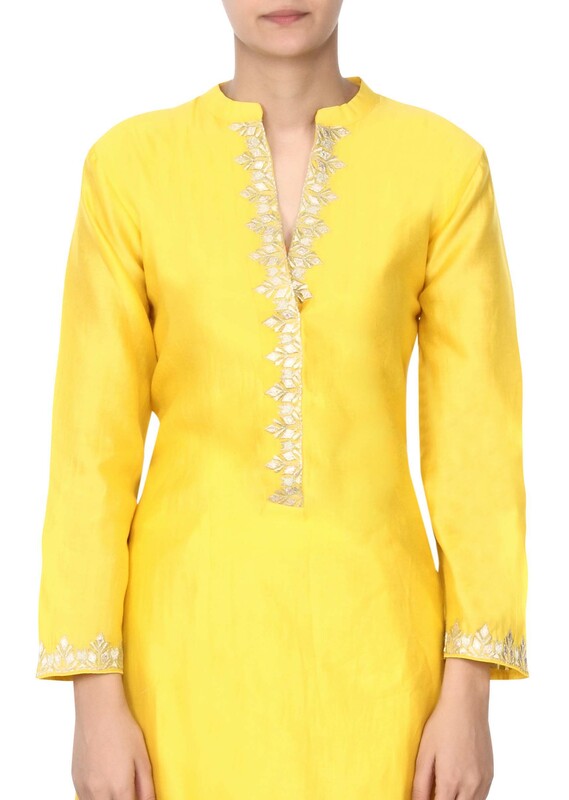 Placket is embellished in zari embroidery. Matched with cream palazzo pant cotton. Dupatta is in yellow net with lace border.